When I visited Andalucía during the spring of 2002, the Red-necked Nightjar (Chotacabras Pardo o Cuellirojo – Caprimulgus ruficollis) had for long been a fascination of mine. It was a bird I had not yet experienced in the Western Palearctic, and my love of Caprimulgiformes had me searching for the species with increased enthusiasm. 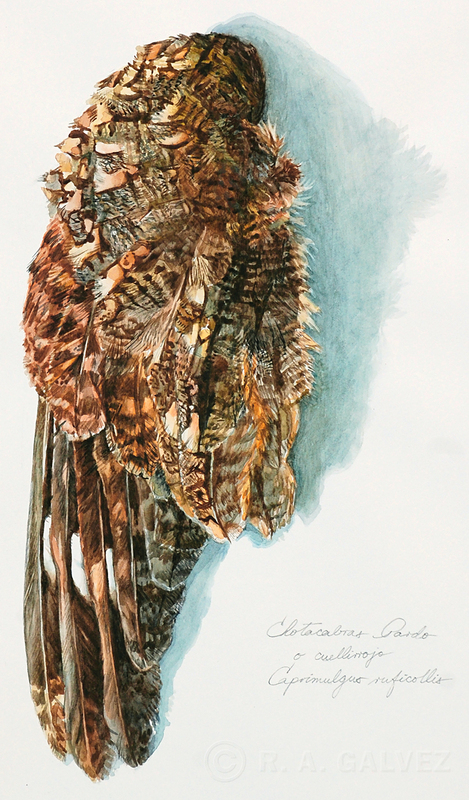 A watercolor study of a Red-necked Nightjar’s wing, done soon after a bird was found, killed by the roadside. During the last two weeks of May, I crisscrossed the Costa del Sol several times from Ronda through Málaga, spending some time along the Río Guadalhorce, stopping at Macharaviaya (ancestral home from my father’s side), and eventually passing Almería to the east. By the time I reached Cabo de Gata – the region’s largest coastal protected natural park – I had seen several excellent species including hundreds of Greater Flamingos, ducks and shorebirds in the salinas (salt flats) of the region, but no Red-necked Nightjars. A pair of quick sketches on the gessoed rough side of a masonite board. These are relatively underdeveloped, so I hesitated in including them here, but they tell part of the story. Left is Macharaviaya – a whitewashed town near Málaga. Right is a view of the Mediterranean from the coastal cliffs of Cabo de Gata. During my first night at Cabo de Gata, I camped out near coastal crags that dropped steeply into the Mediterranean, taking drives and hikes up the arid roads and rocky cliffs north of the cape. I had heard an Eagle Owl from this location, so was intent in pushing my investigation well into the night. However, it was when I unexpectedly flushed nightjars from a sandy path that I was truly captivated. 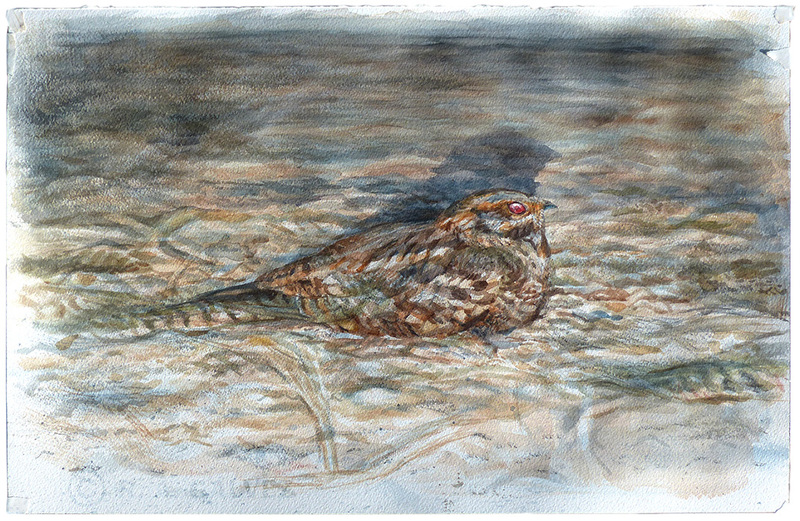 I stopped the car at the sight of a Red-necked Nightjar on the ground, perfectly lit by my headlights, and managed to step out with my watercolor and paper to sketch the bird under the harsh artificial lights. Unfortunately, several minutes into my sketch a police vehicle drove up and the bird flew off. I was immediately put under scrutiny and suspicion. The two officers were pleasant gentlemen not much older than me, and were very curious as to what I was doing. I showed them my sketches and they listened to my description of the nocturnal bird with interest. After an awkward moment of silence during which I continued painting under my headlamp, the officers simply excused themselves and drove away. About a week later, while coiling down mountainous highways from Grazalema towards Málaga late at night, I saw a vehicle in front of me hit a nightjar. I pulled over to inspect the victim, and found a perfectly intact and fresh C. ruficollis specimen. Arriving at Tarifa – the southernmost coast of southern Spain – I spent it sleepless, doing the sketches included in this post. Watercolor and ink pen study of the upper side of the open wing of a Red-necked Nightjar. Sketched in Tarifa, Spain soon after the bird was found dead. A watercolor study of a Red-necked Nightjar wing, done soon after the bird was found, killed by the roadside. Study of the open mouth of a Red-necked Nightjar, done with watercolor, ink pens and color pencil. While the bills of nightjars are relatively small, their open mouths are very large. Note the stiff bristle feathers lining the mouth, which act as nets to help bring insect prey into the buccal cavity. Dorsal study of a Red-necked Nightjar done with ink and color pencils. 1. I typically start most field sketches with a pencil drawing. If the shapes, posture and placement of body parts are not generally accurate in the pencil gesture, then the painting runs the risk of turning out awkward. If the bird flies before I can start applying watercolor, then I’m left with a sketch I can use for future field paintings or as reference for a longer study. 2. In this case, I had the time to put down a substantial amount of watercolor before the bird was flushed. Unfortunately, the nightjar was left half-painted, and I was without a life reference to confidently finish the rendering. 3. However, when I found a dead Red-necked Nightjar days after, and created detailed studies of its plumage, I was able to use my specimen renderings to bring the field sketch to a more complete place. 4. Over the years, I often wondered if I could add just a few strokes to further develop this sketch without ruining it. I kept the hope of returning to Andalucía during spring, and re-encountering a Red-necked Nightjar under similar circumstances, but this has not happened yet. As time went by, the more I looked at the watercolor studies of the deceased bird, the more I felt I should add dabs of color to the field sketch, to give it the desired density. One summer night, as I drove through the Everglades and came upon a Chuck-will’s Widow with my lights, I immediately thought of the nightjar. Both the Red-necked Nightjar and the “Chuck” were until recently classified in the same genus – Caprimulgus (the latter has been recently changed to Antrostomus). Both species are roughly the same size, and both tend to exhibit overall rustier plumages than their congeners. As I carefully observed the Chuck-will’s-widow through my binoculars, it occurred to me that I was gaining useful information to help me develop the field sketch from Andalucía – not in the detail of the plumage or in the shape of the bird, but in the way a nightjar appears under the contrasting lights of car, and how this affects its volume and color. “Everglades Sketchbook 8″ is a 9″x12″ ring-bound watercolor pad I purchased in 2005 with the aim of doing quick, in-the-moment landscapes. I have used it on and off for nearly 10 years now, and a few of its pages are still blank. Sketch done from the edge of an unnamed cypress dome south of Pa-hay-okee. January 12, 2007. Sketched during an afternoon outing, winter of 2007, from the outskirts of the Dwarf Cypress Forest. An open spread showing two moments in time at one of the small lakes west of Long Pine Key. Done during the afternoon of December 30, 2005. Done at the southern edge of Big Cypress National Preserve, where Slash Pines give way to scattered Sawgrass Prairies, and larger Cabbage Palms are about. Fall of 2008. A sketch done at the Hole-In-The-Donut restoration area, from the berm south of Gate 15 overlooking Taylor Slough to the east on October 15, 2006. This sketch was done in Big Cypress National Preserve, about 3 miles north of Oasis, from within a cypress dome on February 2, 2007. A watercolor sketch done from the southwestern edge of Pine Glades Lake, west of Long Pine Key during late afternoon, November 22, 2006. While driving towards Royal Palm during the afternoon of March 18, 2006, I noticed a fire to the north, beyond Taylor Slough. I pulled over and did this sketch from the roadside. “Everglades Sketchbook 8” is a 9″x12″ ring-bound watercolor pad I purchased in 2005 with the aim of doing quick, in-the-moment landscapes. I have used it on and off for nearly 10 years now, and a few of its pages are still blank. In the same way that binoculars and telescopes have revolutionized the way we observe nature, they have revolutionized the way we approach wildlife sketching and painting in the field. The advantages are particularly felt when rendering birds; their fleeting nature and small size make it often difficult to get close looks without flushing them. Sport optics allow us to see great detail, even at a distance. The key to good field sketches is to spend as much time observing your subject as possible. By holding a sketch pad in one hand, I can use the binoculars with the other. This way, I can go back and forth quickly between views and drawing to give my thumbnails the necessary character. Binoculars give you the portability to do sketches on-the-go while using a small sketch pad. This is a great way of loosening up and doing quick gestures. You’d be surprised how much of a bird’s posture and behavior you can capture in this manner. It is an excellent way of quickly retaining information about your observations while you are birding and will help you better understand birds in the long run. With their greater magnification, spotting scopes are excellent for observing extreme detail on birds. Once upon a time, only a bird in the hand could have given us such information to complete our drawings and paintings. With practice, it is possible to create accurate renderings of birds and other wildlife based entirely on observation through a scope, without the need for additional source material. With the stability of the tripod, you may spend lengthy periods of observation while developing complex drawing and paintings. The stability of a scope and tripod frees your hands for lengthier sketches. But why use binoculars or a scope to draw wildlife, when one could just take multiple photographs and video, and paint from the comfort of the studio? While some like to work exclusively from photographs, I like to base my work as much as possible on the field experience. My position on the use of photographs is that it would be a big loss of a tremendous opportunity not to take advantage of their ready availability as reference material. Where many err in the use of photos is when they copy ONE image, and inevitably turn out a lifeless drawing. But at the end of the day, it is all about what you want to get from a sketch or a painting. If all you are interested in is the pure enjoyment of expressing animals through an unrestricted use of form and color, then field sketching with optics may not be the challenge for you. 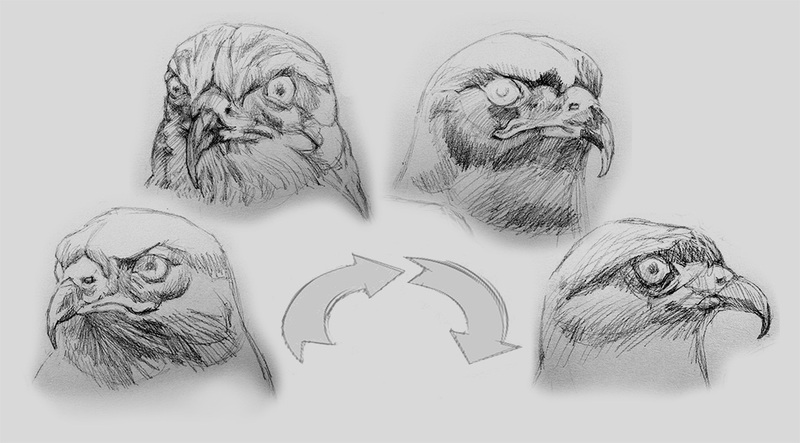 As I observed a Snail Kite on its perch, I took advantage of its head constantly turning to learn more about its complex bill and head by sketching it from different perspectives. The great advantage of working from a living subject is the opportunity to observe and understand its form “in the round.” Copying one photograph will never give you that advantage, since you can only see the “shape” of the bird as dictated by its particular frozen posture at the time the picture was taken, and not its “form” and volume. 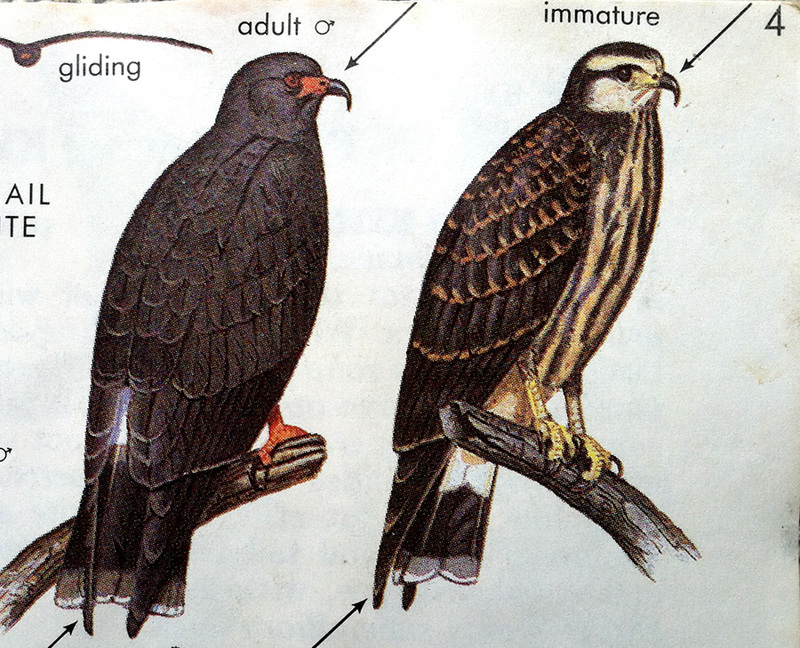 Illustrations of Snail Kites from “A Field Guide to Hawks, North America” by Clark and Wheeler (1987). The depictions of birds in field guides have traditionally been rendered with a graphic flatness conducive of their use as comparative images. For many of us with a long history of ingesting bird paintings primarily through the use of field guides, it is as if we’ve conditioned ourselves to the depiction of birds as flat icons. In reality, birds – and most animals – are all but flat. Many bird species are quite sculptural, and the forms of some may change quite radically depending on their posture, behavior, and on the angle from which we are viewing them. Light and the use of feathers also play a tremendous role on how we perceive birds. 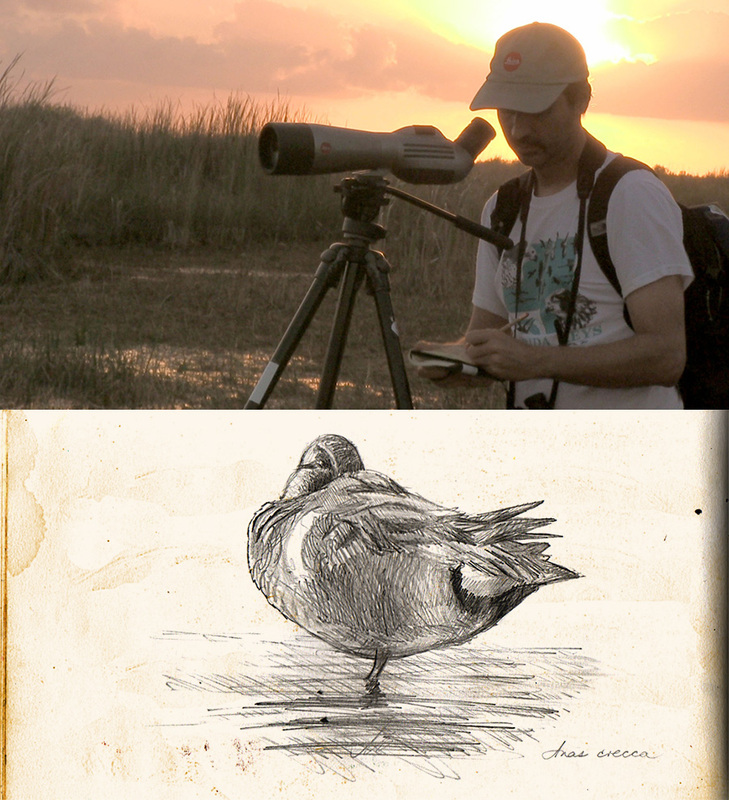 Binoculars and scopes are great tool that will help you study birds though your sketches with more intimacy and precision, allowing you access to information that will strengthen your drawings and give you a deeper understanding of your subject matter. Imagine the possibility of 37 raptor species in a territory smaller than Delaware, or one sixth the size of Belgium! The wonderful Caribbean islands of Trinidad & Tobago have that many raptors on record. Not to mention the 400 or so bird species that make this nation a birding paradise. 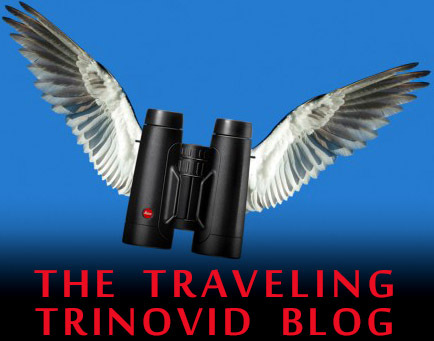 I returned from a trip through Trinidad & Tobago with Caligo Ventures astounded by the wealth of bird species we saw – tropical rainforest passerines, hummingbirds, trogons – the list goes on. Trinidad & Tobago is a nation composed of two main islands and several islets no more than 13 miles from the coast of Venezuela. For its relatively small territory, the nation boasts a surprisingly diverse bird life. Above is a field sketch of raptors seen from the Northern Range, overlooking the Arima Valley on June 11, 2012. 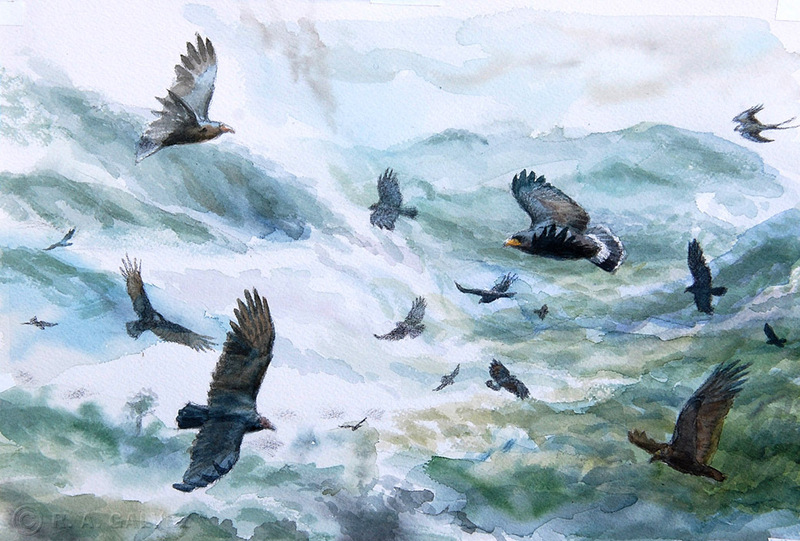 The sketch includes Common Black Hawks, Turkey Vultures, a Zone-tailed Hawk, a Short-tailed Hawk and a Swallow-tailed Kite. Click image for a larger view. The composition was done on a 7″ x 9″ sheet of 100 lb cold-pressed watercolor paper. 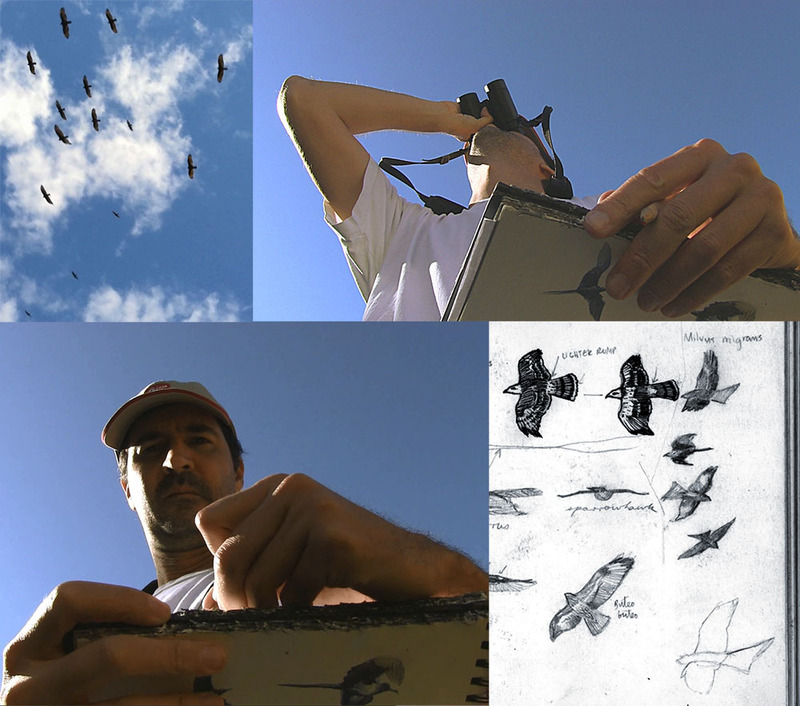 Each bird was done as a pencil thumbnail directly from observation through binoculars (Leica Ultravid 8×32 HD), filling in the composition one by one during a fast paced day of birding. The watercolor was added later, with the rendition of the Arima valley done the next morning from the veranda at the Asa Wright Nature Center. Above are details of the watercolor sketch, depicting the various species observed during a relatively brief stop at an overlook along the mountainous road. The thumbnail sketches range in size from less than half an inch to more than two inches. 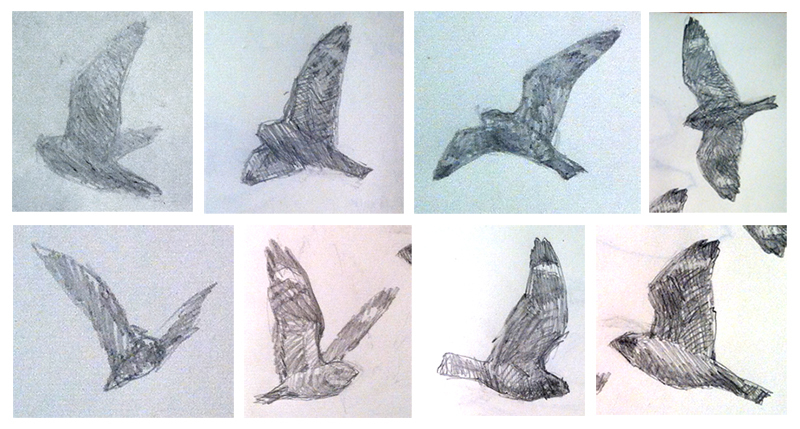 In each, I’ve made an earnest effort at capturing the flight attitude that differentiates the depicted species. While the abundance of hummingbirds alone would have made the trip unforgettable, I was particularly excited about seeing any of the 37 diurnal raptor species documented from this archipelago nation. I was fortunate to observe 14, and I have also posted about one of my most memorable – the Bat Falcon, and interesting observations about the mud-covered legs of a Common Black Hawk. 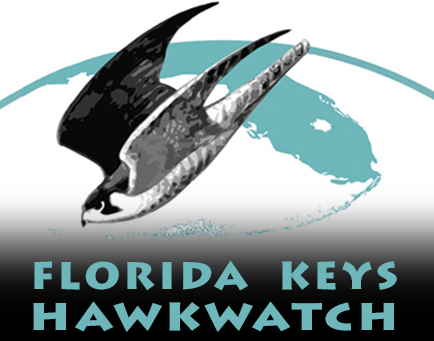 This article was originally posted in the Florida Keys Hawkwatch blog on July 15, 2012. June 10, 2012. Asa Wright Nature Center and Lodge, Northern Range, Trinidad. Falco rufigularis: A small and intrepid Neotropical falcon that takes most of its prey on the wing. Though it does consume bats, these typically compose no more than 15% of its diet. It hunts primarily hummingbirds, tanagers and swifts by agile aerial pursuits, though insects such as dragonflies and lepidopterans are also taken in substantial quantities. Rodents and other ground dwellers are taken on occasion. It is the falcon with the highest rate of reversed sexual dimorphism, with females up to 30% larger than males. A Bat Falcon perched on a snag overlooking the Asa Wright estate house, and most members of my Caligo Ventures group had already seen it from the spectacular veranda by the time I got there that morning. It was a raining and mist could be seen over the Arima Valley below, climbing the forested slopes of the surrounding mountains. The wet falcon kept mostly in a tucked posture, perched above eye level and facing down the slope. The colors of some birds appear saturated when wet and their feathers become stringy, hugging the body and giving them an unusual contour. This morning, the sky washed with a thick atmosphere that flattened distances, and the falcon appeared dark and silhouetted. I must confess that Bat Falcon was high up on my Trinidad & Tobago (T&T) wish list, and I was thrilled to see this bird regardless of lighting conditions. The proximity lent by my trusty scope – Leica Televid series – fixed this. I decided to truncate breakfast and stayed with the bird some 40 minutes. We were soon to depart on a full day’s journey, and as we learned the hard way, the tour bus waited for no one. I managed to do a couple of watercolor sketches and several quick pencil and ink renderings. All the renderings in this post were done based on field observations of this bird from the Asa Wright veranda. My first impression was that of a small bull-headed falcon in the vein of a stocky Eurasian Hobby. Superficially, the combination of a heavily patterned breast against rufous thighs and vent add to this. And the aerobatics of the Bat Falcon have a similar reputation as the hobbies, in terms of speed and agility. However, authorities consider the species a closer relative of the Aplomado Falcon, and particularly of the Orange-breasted Falcon, with which they share general similarities in appearance, vocalization and behavior. As I quickly sketched, I noticed that this bird had brownish primary feathers, indicating a certain amount of wear, and a warmer cast to the greater coverts compared to the bluer upper parts. In the case of most North American falcons, wing molt begins once the birds are nesting. Females tend to molt primaries while incubating and males when nestlings are being reared. I also noticed the tail feathers in a bit of disarray and falling short of the folded wing tips. Most male Bat Falcons have wing tips shorter or equal to tail length while the wing tips of females may surpass tail length. However, rain causes feathers to appear out of the ordinary, and I might have been interpreting this bird more than is prudent. Rain seemed to be slowing by the time I left this Bat Falcon. Now its appearance was changing; its feathers fluffed and its posture enlivened as it commenced preening. 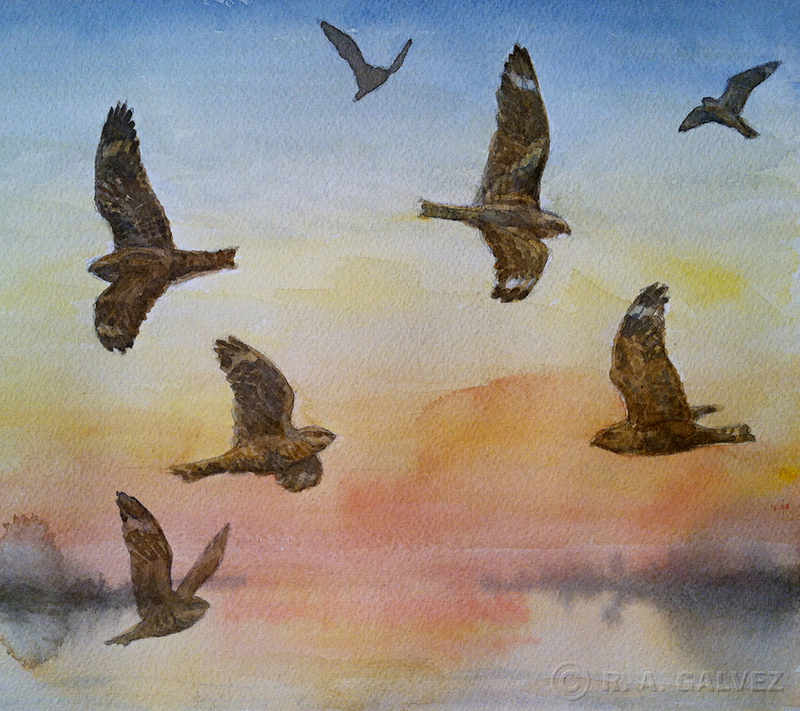 I use a telescope and binoculars to do many of my field sketches and paintings of birds. During this trip I carried an assortment of paper, none larger than 14” x 10”, and a couple of small sketchbooks. Because of the wet conditions throughout the trip, particularly in Trinidad’s Northern Range, the paper was always moist or wet, especially after hikes in the rain. 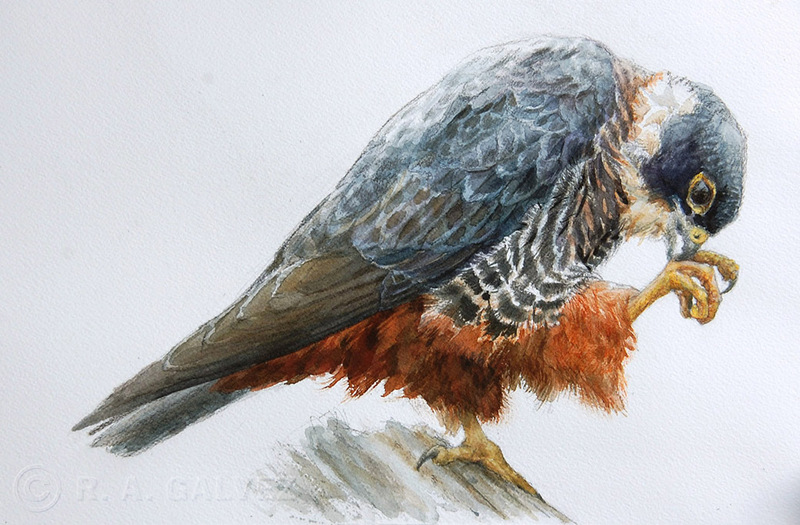 Bat Falcon preening: This was rendered over a watercolor gesture done on site. Pencil and color details were added later that day and the following morning, using sketches from other renderings as reference. 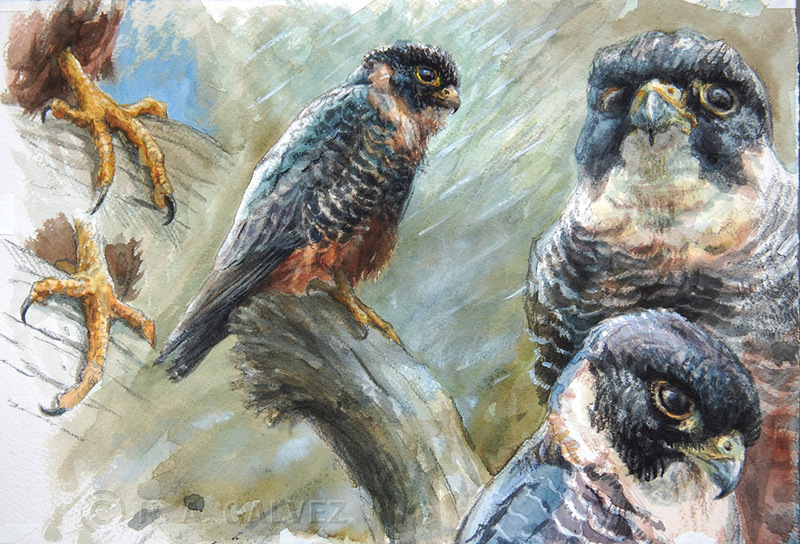 Bat Falcon – various postures and talon details: Most of the watercolor was done on site. Details were added later. Bottom image: Pencil and ink rendering done on site. Watercolor added that night. 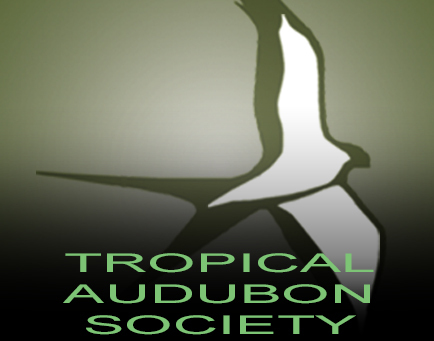 This article was originally posted on the Florida Keys Hawkwatch blog on July 15, 2012.